There are a lot of fitness startups out there. At CES 2013 back in January, a panel of media big wigs actually talked about the fact that there may be too many fitness startups these days. There’s a lot of noise in the fitness space and you’ll have to be unique to succeed. Atlanta startup Body Boss may actually have that uniqueness people are looking for. Body Boss isn’t just a fitness app, but it’s a fitness app for teams. High School, college and even professional sports teams can use the Body Boss platform to track the fitness performance of their players. Coaches can use Body Boss to track workouts from individuals as well as the entire team. The platform gives coaches the analytics they need to compare each player, how fit they are and where they need improvement. Body Boss is making it easier for college recruiters to get a better picture of the high school athletes they’re looking at. “This is a great tool for tracking and recruiting high school athletes. I like the competitive aspect, accessibility on smartphones and tablets and instant updates. There is nothing on the market that is this professional looking” John Sisk, Director of Football Player Development at Georgia Tech said about Body Boss. The competitive aspect that Sisk mentions is a feature in Body Boss that allows intra-squad competition. Virtual weight room crap-talking can be done through Body Boss, and whether athletes want to admit it or not, that can be a powerful tool. Real time updates and an easy to understand UI make it a great way to create accountability for players and coaches. It also eliminates paperwork coaches would have to do on athlete’s workouts. As the platform grows, Body Boss co-founders Daryl Lu and Don Pottinger hope that teams will be able to use Body Boss to not only keep up with their own team but other teams as well. A network for collaborating and sharing is already baked into the platform. While we will stay away from calling Plisten, Pinterest for Brands, that may be a very good description of exactly what Randy Mitchell and Eric Yu are doing with their Atlanta based startup. Mitchell tells us in this video interview that Plisten came about after he had some trouble with major brands. He gives us just one example, citing a problem he had with a major bank where he had been a customer for years. As his situation got escalated he became more and more frustrated with customer service and the way the bank was treating him. Finally, a customer service “manager” told him to get any further he would need to write a letter to the CEO. Plisten is that letter. But, Plisten is more about good interactions with brands as opposed to bad ones. Facebook, Google+ and even Twitter have taught us that people will communicate about their favorite brands. People will tweet about great experiences and of course bad experiences with any brand from Best Buy to BMW. Coca-Cola, MTV, Disney, Red Bull, Converse, Starbucks and McDonalds are just some of the top brands on Facbeook today. Those seven brands alone count for over 250 million likes. Brands are definitely a big play, Yu and Mitchell are hoping to hit a homerun with Plisten, which is a pinboard specifically for brands. Consumers will be able to talk about their favorite brands, like their favorite brands and communicate directly with those brands. This is a powerful tool for consumers and for the brands themselves. By cutting away the noise from everything else people like, and honing in just on brands, Plisten will be able to deliver captive audiences and in turn those brands will be able to market directly to their most active customers. Of course in Mitchell’s case, when someone has a problem with a brand they’ll also be able to communicate that problem. Perhaps they’ll find that the problem is more widespread. They may also find it’s isolated, but either way, with the focus strictly on brands, brand managers will have a better way of finding those problems, and fixing them. Check out our video interview below. In 2011, after my third trip to IFA in Berlin I made a conscious decision to try and learn German. I wanted to be able to know how to order more than just a “cola light” (that’s German for Diet Coke). So I did what everyone in my position would do, I went to Union Station in DC and plucked down nearly $500 for a big yellow box from Rosetta Stone. Don’t get me wrong, Rosetta Stone seemed great, but it wasn’t teaching me what I really needed to know. How can I hail a taxi, how can I read a mass transit sign, how can I ask someone where the bathroom is, and how can I order a German chocolate cake. I learned a lot of words I would never need to know, and not enough of the phrases I did need to know. Well with a trip to LeWeb planned next year, I need to learn French. Since I didn’t pay an ounce of attention in high school, I need to get learning. Luckily at Atlanta’s Startup Rally I bumped into Bijal Nagrashna the VP of Strategy at Atlanta startup TripLingo. After a couple of real time lessons on how to correctly pronounce her name, she took me on a tour of what language learning software should look like. 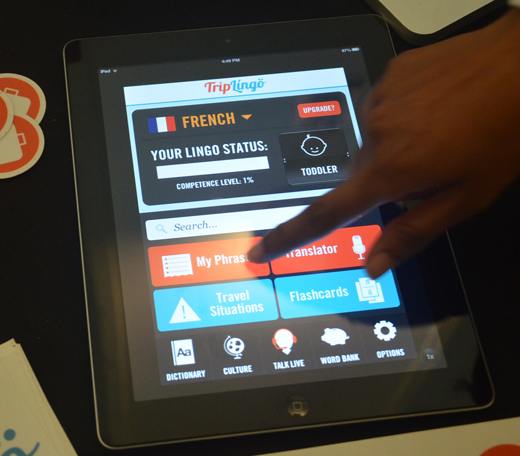 TripLingo is a platform for learning languages specifically geared toward travelers. The extremely robust application is intuitive and pleasant to use. You start off by identifying where you are going, what you want to do there, why you are going there and your special needs. For example, I’ll be going to France on business, to cover LeWeb. I won’t be shopping, but I will be eating. I’m type II diabetic (there’s an option for that), other than that I like just about any kind of food. TripLingo pulls a bunch of popular, and necessary phrases together and gives the user a bunch of options. You can pick the text book translation, or you can go with something a little more casual or slang. If you’re adventuresome there’s a “crazy” option as well. Once you master that option you’ll sound like any hipster local. TripLingo leaves no stone unturned (no pun intended). Their app offers the transliteration in text and if you plug in a headset you can hear how it’s supposed to sound. The app also has the ability to help you out in a pinch, whether you’re having an emergency or you’ve spent all day at a conference and forgot to take a break to eat. While I haven’t dove into the platform just yet, I’m going to use it and I’m confident that it’s going to be a much better experience than Rosetta Stone (and a lot less expensive). TripLingo also offers a customized professional version for companies. Say you’re the CEO of a big company with offices in another country. Your company can customize TripLingo for phrases that will be important to people traveling on behalf of your company for business. 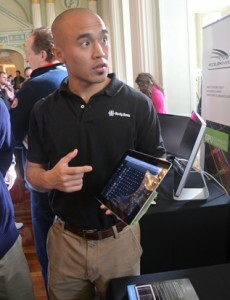 TripLingo was one of nearly 100 startups that exhibited at Startup Rally in Atlanta. Can startups be built anywhere in the United States? That’s a question the Wall Street Journal Accelerator’s blog and the Huffington Post have recently asked. Between those two widely read publications and last weeks everywhereelse.co The Startup Conference, the answer is a resounding “Yes”. Just to reiterate that though, Atlanta’s startup community came out in full force Monday night to tell their stories in a “Startup Georgia Parade”. There was no confetti, or marching bands, but the grand marshall, Scott Case (CEO of Startup America and founding CTO of priceline.com) was in his trademark red, white and blue Chuck Taylors. Rather than 50 foot floats, the standing room only crowd at the historic Biltmore Hotel in Atlanta celebrated multi million dollar companies, entrepreneurs, founders and investors who’ve chosen to keep themselves, and their businesses in Atlanta. 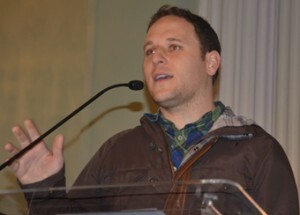 Event organizer Scott Henderson, pointed out several times that, Monday’s event, dubbed “Startup Rally” was the largest assembly of startups and entrepreneurs since the International Cotton exposition, a 100 day exposition held in Atlanta 118 years ago (1895 for those that don’t want to do the math). 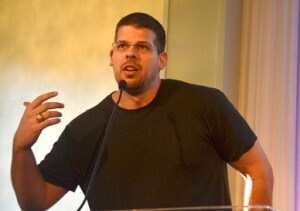 One of the first startup founders to speak was Rob Kischuk founder of Bad.gy. He was quick to point out that just the previous week he was at everywhereelse.co with 1000 other entrepreneurs and startups, using that as testimony to the fact that startups can launch just about anywhere. Kischuk almost got emotional when talking about his decision to stay in Atlanta and that he would have it no other way. Finally Kischuk recognized that many of the people in the room at Startup Rally, the influencers of the Atlanta startup community were instrumental in the success bad.gy has had to date. Every state seems to have a godfather of early stage startup funding. In Tennessee Vic Gatto of Solidus is the godfather. In Atlanta it’s Sig Mosley. Mosley was an early stage venture capitalist, took a short hiatus but couldn’t stay away. 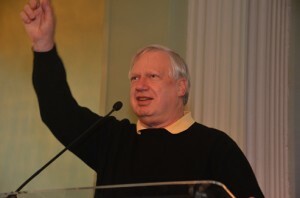 He stood on stage and talked about the technology sectors that would build the next stage of companies in Atlanta. Jim Flannery the founder of Four Athens spoke about coming to Athens Georgia with nothing, in fact he moved from Silicon Valley to Athens Georgia, a town made famous by REM and the B52’s. Now they have their own budding startup community. Four Athens serves as the hub for entrepreneurs in the Athens area. Sam Zebarjadi, a wireless entrepreneur, and mentor for both Four Athens and Greenville’s “Iron Yard” also spoke about startup communities, and the power in Georgia. 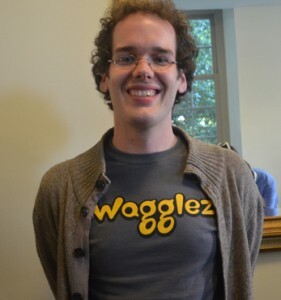 Paul Judge, an Atlanta based serial entrepreneur has already had two exits to Silicon Valley firms. While the time was ripe to head out west Judge remained in Atlanta where he currently serves as the Chief Research Officer at Barracuda Networks (which bought one of his companies). He’s currently working on his latest company Pindrop Security, which was exhibiting in Startup Rally’s expo earlier in the day. Many of the speakers made reference to some of Atlanta’s more well known startups like Sarah Blakely’s Spanx and of course Mail Chimp. Neither company raised venture capital and instead made their money the old fashioned way. Now millions of people are buying Spanx’ products and using Mail Chimp to send out emails in droves. Michael Tavani, the CEO of ScoutMob praised Mail Chimp when it was his turn to speak, noting that he wants to start his next company in Atlanta and do it without venture funding. Tavani’s local deals startup has raised $5 million dollars to date, but it wasn’t easy. Being scrappy and grinding paid off for Tavani and his team. When ScoutMob launched, they had created enough buzz, through hard work, that investors called right away, as did merchant partners. “It’s easy to make an impact here in Georgia. There’s a lot of noise in the valley, the impact we were able to make took a much shorter time” Tavani said. Several other startup founders spoke, as did some of the venture capitalists in Georgia’s startup eco system. All of this was in celebration of the launch of Startup Georgia the official partner region for Startup America. Case stuck around until the end of the event when he and I had time to talk about how Startup Georgia was still in it’s infant stages of forming back in October during the Startup America Regional Champions Summit. The team behind both events really pulled it off. This all led up to one of Atlanta’s most infamous entrepreneurs Jermaine Dupri who spoked for about a half an hour on building his business, So So Def Recordings, into a multi million dollar empire, all the while growing it in Atlanta, rather than moving to New York or LA. A celebration of startups everywhereelse, tickets on sale now at 2013 prices for EE2014, follow this link.